For brand owners, deceptive phishing scams and infectious malware attacks represent more than just a danger to their customers' personal and financial information. These exploits are also a direct assault on revenues and profits, and represent a strategic business problem that can erode customer trust and undermine digital channel adoption. MarkMonitor AntiFraud™ enables enterprises to prevent, quickly detect, and mitigate malware and phishing attacks across a range of digital channels. By leveraging deep domain and brand protection expertise and an extensive network of industry partners, MarkMonitor is uniquely positioned to help you stay in front of fraudulent phishing and malware activity — protecting your brand, profits and customer relationships. We can now also provide threat intelligence and monitoring of the Dark Web: MarkMonitor Dark Web and Cyber Intelligence™ is a powerful solution that provides near real-time monitoring of cyberattacks across multiple cybercrime zones including the Dark Web, smart robot technology to infiltrate criminal networks, and actionable intelligence alerts. MarkMonitor uses the industry's most extensive monitoring capability to prevent, detect and mitigate the widest range of phishing attacks and malware as well as other email-based fraud activity. Highly effective prevention measures block many attacks, while multi-pronged mitigation strategies accelerate exploit shutdown and protect consumers. MarkMonitor taps the widest range of data sources — including a scan of more than 300 million emails daily — to detect attacks, then uses the industry's most extensive partner network to initiate immediate shutdowns. Proprietary technologies — including the Early Warning System© with unique tools for analyzing exploit sites and kits — maximize prevention. Clients have 24x7x365 access to the MarkMonitor AntiFraud Security Operations Center (SOC), which has detected millions of fraudulent acts across more than 14,000 networks in over 170 countries. In addition, each client has a dedicated, highly experienced client services manager. MarkMonitor AntiFraud delivers maximum data security and reliability. Clients can leverage our unique-to-the-industry portal API to integrate SOC resources with their own security event management infrastructure. Drawing on more than a decade of industry experience protecting the world's largest brands, our client services team works to understand and fulfill each brand's unique anti-fraud requirements. Inside the MarkMonitor Security Operations Center (SOC) , our experts conduct global prevention, detection, analysis and mitigation activities 24x7x365, in part by maintaining longstanding, extensive relationships — through more than 150 languages — with thousands of ISPs and registrars worldwide. Already acknowledged as providing the industry's most experienced and knowledgeable antifraud solution, MarkMonitor AntiFraud professionals receive extensive, ongoing education and training — and enjoy an environment and culture that stresses community and shared best practices. Leveraging its leading position in domain management, MarkMonitor uses its Early Warning System© to detect suspicious new domain registrations — including new gTLD activity. These and other prevention strategies block many attacks before they are launched. MarkMonitor detection capabilities outstrip all others, some by as much as 50%. With unparalleled access to data sources — through industry groups, ISPs, security companies, honeypots and even client data feeds — and proprietary analysis tools, we can quickly expose phishing sites targeting the brands we protect. 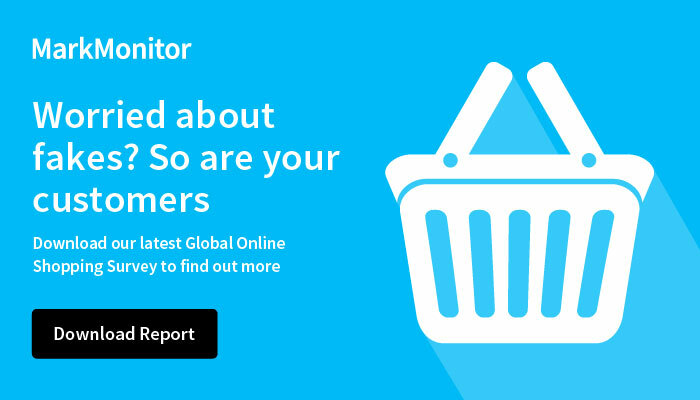 MarkMonitor employs the industry's most effective, comprehensive mitigation strategy — composed of three key elements — to protect consumers and brands from fraud. The first element is a deep analysis of offending sites and underlying kits, to identify targets and shutdown opportunities. Secondly and simultaneously, we launch Fraudcasting countermeasures that notify ISPs, browsers and security providers to block access to fraudulent sites. Finally, our 24x7x365 SOC initiates shutdown activities, leveraging relationships with thousands of ISPs and registrars worldwide. MarkMonitor protects clients from a wide range of fraudulent tactics: every kind of phishing attack, plus vishing, smishing and malware attacks (including distribution, drop and command and control activities). We also regularly shut down fraudulent email accounts, pharming operations and illegal gaming servers.